We work hard at being the best removalists we can. We have been honoured to receive a number of awards over the years. Recognition richly deserved by a very hard working and committed team of people here at Noosa Van Lines…not only as a Removalist Company but also as a small business. Including some fantastic industry recognition from the Australian Furniture Removers Association and recently from Business Awards Inc. – The Small Business Awards, and as a finalist in the Australian Small Business Champion Awards 2016. We set out simply to do the best job we can for each and every client, making sure we deliver everything we promise and make doing business with us easy and stress free; a totally positive experience. 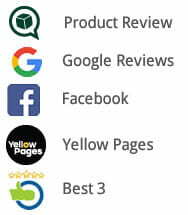 Receiving confirmation from customers to this effect is reward in itself…receiving added recognition from our peers in the form of national and industry awards is a real bonus. Achievements we are all very proud of. 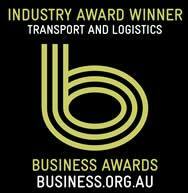 – Luke Chiodo CEO at the Business Awards Inc.
2015 – Daniel Smith from Noosa Van Lines was named Australia’s Best Furniture Removalist of 2015 at the AFRA Conference on the Gold Coast. In recognition of his genuine care and passion for his job and his customers; his high level of professionalism; outstanding customer service skills, and willingness to always go that little bit further to do a good job. 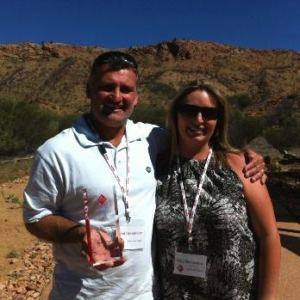 2013 – David Devonshire from Noosa Van Lines was named Australia’s Best Furniture Removalist of 2013 at the AFRA conference in Alice Springs. 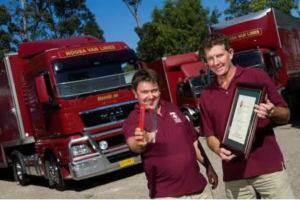 2011 – Noosa Van Lines celebrated 30 years in business and marked the occasion by taking out two coveted industry awards: Fleet of the Year Award and Employee of the Year Award to our amazing general manager Scott Hamlin. 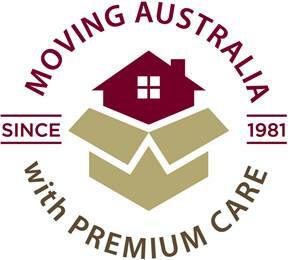 As an AFRA member every furniture removals company has a set of minimum standards to meet in all aspects of their business. The Fleet of the Year award is assessed on the basis of those companies meeting and exceeding those standards as far as, not only fleet appearance and representing AFRA on the road, but also safety records, team training, reduced insurance claims, fleet maintenance records, reliability and risk management procedures employed. “To receive this award ahead of some of the best in our industry is a massive acknowledgement for a small company like ours,” said Scott Hamlin our General Manager on getting the award but the AFRA Employee of the Year left Scott speechless. Scott was presented with the AFRA 2011 Employee of the Year award in recognition of his contribution to the industry both locally in Noosa and at a state level with his proactive involvement in promoting the industry on the Queensland branch of AFRA, often volunteering Noosa Van Lines services to assist victims affected by floods and cyclones during the early part of 2011. 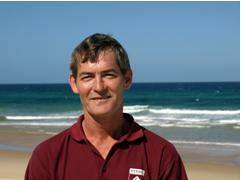 2009 – AFRA Employee of the Year for Craig Dunsdon, Australian Furniture Removalist of the Year for Grant Baker and Noosa Van Lines was third finalist in the Furniture Removals Fleet of the Year award. Every year leaders within the furniture removals industry select high achievers to receive special honours and recognition in areas of training, leadership ability, and contribution to the improvement of the industry, innovation and superior fleet standards. 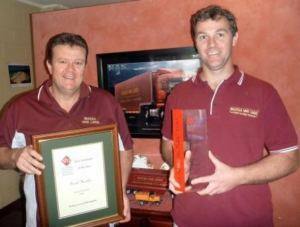 In 2009 Noosa Van Lines fleet manager, Craig Dunsdon took out the AFRA Employee of the Year and Grant Baker took out the 2009 Australian Furniture Removalist of the Year, joining fellow team member Gerry Nolan who took out the coveted award in 2004. 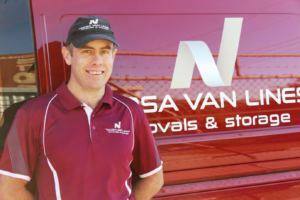 Noosa Van Lines also made third finalist in the Furniture Removals Fleet of the Year award in 2009. 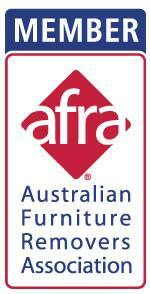 Gerry was presented the coveted award for Australian Furniture Removalist of the Year at the AFRA conference in Canberra in August 2004. Gerry has made an outstanding contribution to Noosa Van Lines. He tackles every task with a positive attitude, which reflects in the quality of his work and the feedback from our customers. As a company we appreciate the professionalism and dedication of our amazing team members both in the office and on the road as well as thousands of loyal customers like you who choose and trust Noosa Van Lines again and again with their home removals. Thank you for the part you’ve played in helping us receive these industry awards and recognition. We’ve been honoured to work with such an amazing team over the years and privileged to help so many people with their home removal.